At Affinity Counseling Services, we provide individual counseling services, aimed at helping you take control of your life. In some cases, you may feel out of control due to a major life change, such as the loss of a loved one, a broken relationship, or a major health setback. In other situations, you might be dealing with a reoccurring issue such as depression, anxiety, addiction, or anger. No matter what your unique situation is, our team is here to help. We provide tailor fit individual counseling in Oklahoma City, based upon your specific needs. When you decide to meet with a counselor from our team, our goal will be to help you create a plan that allows you to unlock your best self. We provide a completely non-judgmental environment in which you can share your problems with the goal of finding appropriate solutions. One-on-one counseling allows you to take the time to assess your own mental well-being and to address lingering issues. Whether you have suffered through a tragedy or trauma, or you simply feel incapable of handling day-to-day life, we are here to help. Often, when you are struggling with severe anxiety, depression, or other internal struggles, you can feel extremely isolated. It is easy to begin to believe that there is no hope left for you. You can start to feel that you are living separate from those around you, who seem to have it all together. This can create a cycle of loneliness in which you isolate yourself more and more from those around you. Overtime, as you become increasingly isolated, you will find your issues seem even more insurmountable. It is important and possible to break this cycle. Reach out to our team and talk to a counselor about the struggles you are facing. Having a safe person to talk to allows you to build a plan to create a healthier, more fulfilling life. Remember, our counselors will never be shocked by your struggles or treat you with any sort of judgment. We provide a safe place for our clients, with the highest level of discretion possible. When you meet with our team for individual counseling, you will be free to be 100 percent open and honest. Often, our clients find that the simple process of sharing the true depths of their struggles helps to relieve the pressure these problems often bring. If you are looking for counseling in Oklahoma City, reach out to our team. We will be happy to meet with you to see if one of our counselors is a good fit for you. 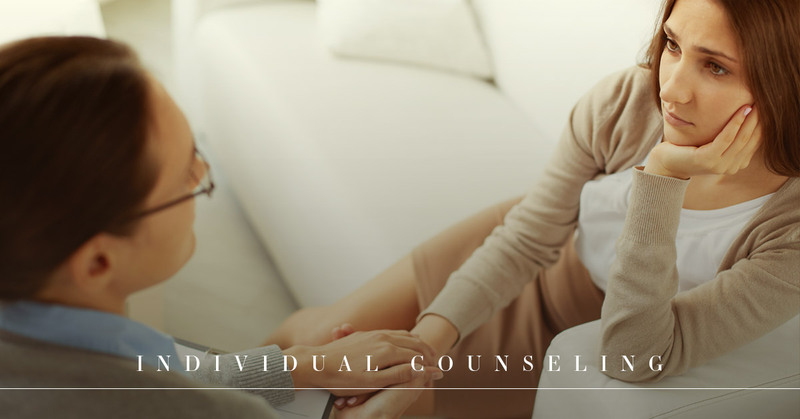 It is important that you feel comfortable and connected to your counselor, which is why we aim to pair our clients and counselors carefully. Reach out today to schedule individual counseling with our team.